It still needs a tassel on the hood (my mother's excellent suggestion) and a zipper in front, but for all intents and purposes the knitting of Abigail's Tomten Jacket to be found in (Knitting Without Tears , Knitting Workshop and The Opinionated Knitter ) is complete. As Houdini was wont to say, "Ta-daaaaa." This was my first waltz with the pattern and it won't be the last. It's 100% pure Elizabeth Zimmermann: clever, useful, adaptable, addictive. As with most of her designs, variations are numberless and I humbly add mine, with all its flaws and fudges, to the pile. Ages ago I promised a demonstration of the garter stitch jacquard technique and am now renewing that promise, although I won't get to it this week. I have so many deadlines to meet that I dare not contemplate them in aggregate or they'll drive me straight to the fainting couch with a bottle of sal volatile. I can promise that blog posts will be thin on the ground this month, but don't forget me. I'll be back. Hang in there with the deadlines! Great! I love the way the designs on the sleeves work with the whole. 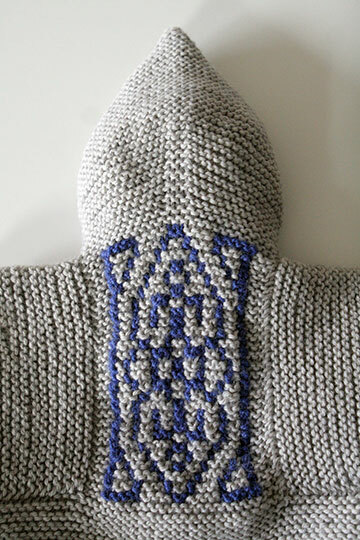 I knit a tomten years ago, after somehow buying Knitting Without Tears. Didn't know other knitters, had not a clue about who EZ was. One of those deals where all I can do is send the gratitude out for whomever it's meant for. Franklin that's just gorgeous. Gorgeous, my friend. Deadlines will pass, you'll make them or you won't, and it won't significantly change the history of the universe. You'll do just fine. That is a splendid jacket. Lucky, lucky Abigail! Oh Franklin, it's ADORABLE. That is one lucky little girl to have you for an uncle! Wow! Where did you source that jacquard pattern? That is an awesome version of the Tomten! Fantastic! Franklin, it's beautiful. Hang in there with the deadlines. Knit through all crises. I will never forget you, I love your writing and wit entirely too much. That is, as everyone has said, beautiful. The designs are lovely and I love the color combination. And your mom's right. A tassel will be the icing on the cake! Franklin, that jacket is MAGNIFICENT! I am SO jealous of Abigail, simply magnificent. 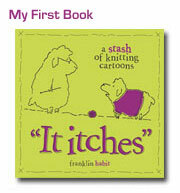 Please make sure to send a pic of it to Meg & Co, you are truly a KNITTER! Awesome, in the original sense of the word. 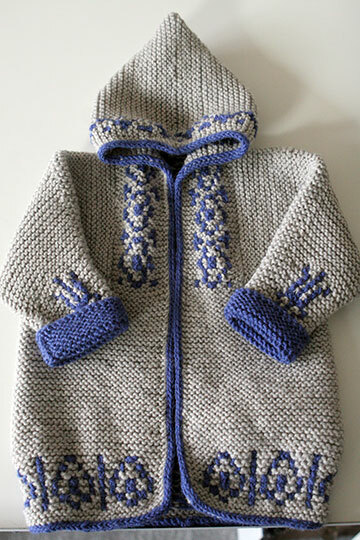 :) Now I feel the need to go find someone who will appreciate knitwear and has little ones in their family. Ta-daaaaa is exactly right! Beautiful! It's gorgeous! I absolutely love the jacquard patterning, and am looking forward to the tutorial, whenever it comes. Good luck with all the deadlines! You are always worth waiting for, no matter the post! beautiful! I love the way you worked the design in. You are a genius! "brushing off the sidewalk outside your apt" I'll sit right here and wait for you. Oh and I'll let you know if anything fishy goes on. Or should I say Sheepy?? that is effen beautiful! Truly a work of art. Nothing to be humble about there that I can see. The colors, everything - just lovely! That is a lovely tomten. I think I'd like to make one for me but that's a lot of garter stitch. As the picture loaded, I let out an audible, "AWW!" Just too damn cute!! OMG, that is just so cute! I love the details. 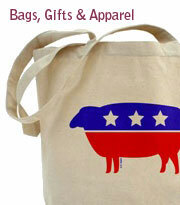 Rest assured that you're a permanent fixture in my Bloglines and I'll know when posting picks up. See you when life frees up a tad! Spectacular! Definitely worthy of the adorable-ness that is Abigail. I have forgotten three forgettable ex-boyfriends, four lousy jobs, six credit-hours of useless classes, and twenty dumb things W has said to make sure I won't forget you. Enjoy your retreat into the whirl of creativity that is your delightful brain. What a lovely tomten! I'll bet EZ would have been charmed. (Maybe, somewhere, she is!) I love the way your pattern - jacquard? - actually shapes the coat - did you know it would do that before you started or was it a mid-project burst of designing inspiration? well done, either way! Just get cracking and get back to us as quickly as you can. I wnat that book! If you want, I can invite Delores to NY, give her a couple of bucks as seed money, and tell her to meet me under the clock in Grand Central in three, maybe four, weeks. I am sure that Delores will rise to our full expectations. You will get done what needs getting done and poor Harry will have some peace and quiet. And, Abigail's newest gift from her lovin' uncle is absolutely fabulous. Love the colors and the creative personalization of your work. That is one outrageously beautiful Tomten. It's stunning. And forget you? No chance. Good luck with the next month. 2 weeks until you come to philly! I am getting all (squee) just thinking about it! Got another bottle of sal volatile? It seems to be the season for work to loom like an immovable wall. Wow. That's EZ taken to new heights. Franklin, I really like the Tomten! Magnificent! I am (still) waiting anxiously for the garter stitch jacquard tutorial, since the only non-knitting machine entry in Google is your teaser. Any suggestions for (in print) resources in the meantime? You have such an excellent eye for design. She will look even more adorable. Well done! What a beautiful Tomten. I'm sure St. Elizabeth is smiling down on you from heaven! And, your little niece is one lucky baby to be the recipient of your creative, lovingly- knitted gifts for her. The Tomten is one of my EZ favorites, and I have always used variegated yarn for the "wow" factor. But, now you have given me an idea to bring future Tomtens up to a whole new level, using solid color yarns! Absolutely gorgeous! I must get brave enough to try one! Your Baby Surprise Jacket inspired me to make one too and I fell in love with EZ. Your photography is gorgeous, as is you knitting. I bookmarked your blog the first time I read it and I keep coming back and always leave satisfied. Ta-daaaaa indeed, it is lovely. I agree with you mother, a tassel would add the finishing touch. Will the tassel be blue, and what color will the zipper be? CUTE!!!!!!!!! And how lucky she is with such a GREAT Uncle!!! As if we could ever forget you. Lovely! Good luck with all your deadlines--we'll miss you! I have been fiddling with garter stitch jacquard ever since you mentioned it, and it keeps coming up with little gaps at the color changes. Very excited to see how you did it, and if my problem is my own impatience. Abigail is one lucky niece. Beautiful--never thought of adding color pattern to this design. Tassel on the zipper pull would also be adorable. Great job. you did such a nice job, I love the colors! Wow! Beautiful! I've made two [nowhere near as nice as yours]; I wish I were brave enough to put the zips in! You have improved a jacket I have made many times and now cannot wait to begin once again -- this time for myself -- enhanced with jacquard designs. You never cease to inspire. Thank you so much for taking the time to share your thoughts and ideas with us. I am so happy to watch as your generosity is rewarded with such wonderful creative opportunities. I look forward to meeting you on the 19th. Franklin, you're amazing! That is one beautiful tomten. EZ would be proud!!! Gorgeous, gorgeous, gorgeous! I've never knit one, but I love the Tomten. And yes, Abigail definitely needs a tassel on her hood. no, it really is amazing (as are you). the tassel will be darling. Thanks, Franklin. Just when I thought I had all my projects lined up for the next year, you go and force me to bump one the next one so I can try the Tomtem. Good luck with the deadlines, and hope your carpet is salvageable. i have knit 5 of them.. and they have been worn to pieces by their recipients. i think this jacquard garter is a genius addition to the jacket and a lovely matrimony between the wild and generous elizabeth and the strict and meticulous montse. abigail will also wear this to pieces and i will have to try jacquard garter pretty soon. congratulations. refreshingly new take on tomten. That is absolutely the most unique tomten I've ever seen. I love it!! I've made it once, in some of my first handspun in dark chocolate brown with a couple of rows of red stitching where I picked up the sleeves. It looked like red piping and was astonishingly handsome. My 6 year old son didn't want a hood, so I made a standup collar. One of the best things about it is it stretches and can be worn for a long time by a growing child. You made what would a plain gray hoodie into something beautiful. Great job.